OpenLM monitors license usage according to users and user groups. It can also be utilized to apply license usage constraints via Options file management. This document discusses the different entity types that OpenLM relates to: Users, User groups, Host, Host groups and IPs. It briefly explains their roles and methods of introduction into the OpenLM DB. Manually through the EasyAdmin web application. Once a user checks out a license for the first time, they automatically become an Active User. All information is recorded and stored and the System Administrator can gauge usage and ownership of software in the future. 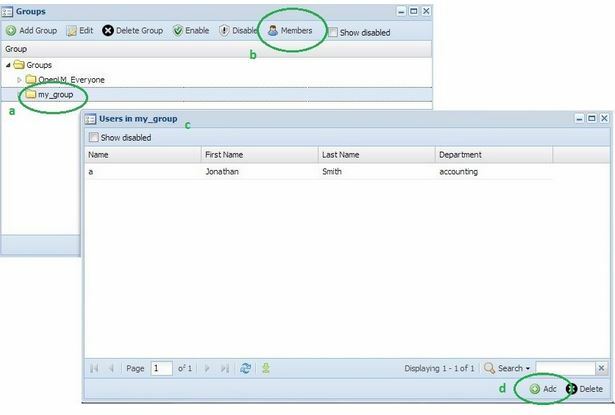 The manual method of adding users and groups is through the EasyAdmin Users & Permissions menu. 2. Click Start → Users & Permissions → Users. 3. Click Add User and Insert the required data, Check Enabled , and then click Save. Open the OpenLM Configuration tool, on the “Advanced” tab. Selecting EasyAdmin updates the Options file on the server, will act as a write function. The Options file will be written by the OpenLM Broker. 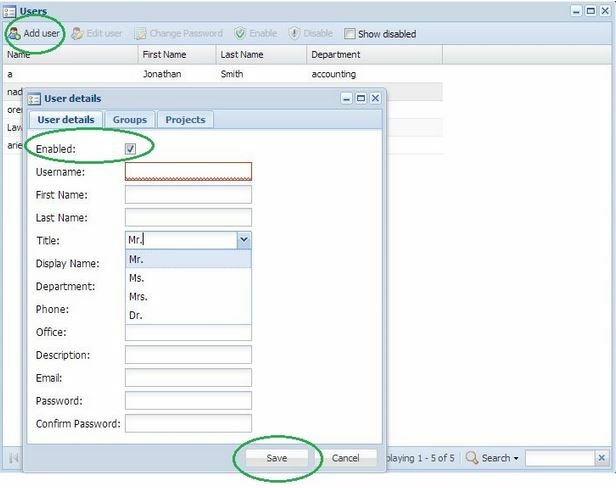 Selecting Changes made to the Options file are reflected in the EasyAdmin options file editor will provide a read function. Manually adding a users group through the EasyAdmin web application. Users may be members of several groups. Each user is assigned a default user group. In OpenLM Version 2.0, The entire usage time of a specific user is attributed to the user’s default group. Users who are only members of a single group – that group will be regarded as their default group. 3. Click Add Group and Insert the required data, Insert information for the Group Name, and click OK.
4. From the Groups window, highlight the newly created group(a) (e.g. : my_group), and click the Members icon (b) to add new members to the group. The Users in my_group window (c) opens. 5. The Users search window will open. Select users from the Users search window and click Add (d) to Users in my_group. Repeat this step as often as necessary. 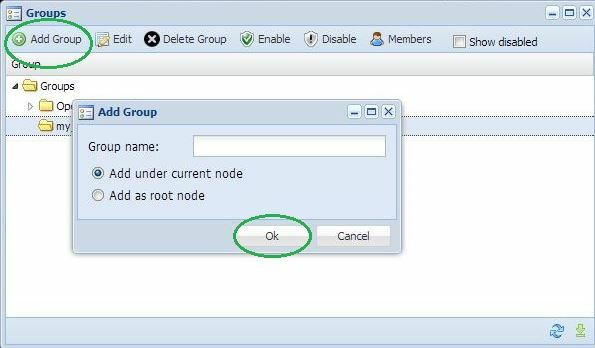 Note that it is possible to set a user’s default group via the LDAP synchronization configuration interface. Controlling the license usage of specific computers is made possible by applying constraints to IP addresses. It is also possible to control the license usage of an IP range of computers. For example, typing in the IP: 123.123.123. * applies Options File configurations window to be implemented on all user IPs in the range of 123.123.123.0 through 123.123.123.255. 3. Click the Add button, the Add IP window will open. 4. In the text box enter the IP address you want to add. 1. On the EasyAdmin web application window. 4. In the text box enter the IP range you want to add (as explained the paragraph above). Custom groups of virtual machine hosts may also be created, for grouping of hosts and their virtual machines in meaningful ways. For example, you may create a host group for every branch office in your organization. You can also use host groups to set aside resources on hosts in the host group for the use of the host operating system. 2. Click Start → Option Files → Host Groups. The Host Groups window opens. 3. Click the ‘Add’ button, and add a Host group (e.g. : my_host_group1). 4. Select the newly added group, and click the “Members’ icon. 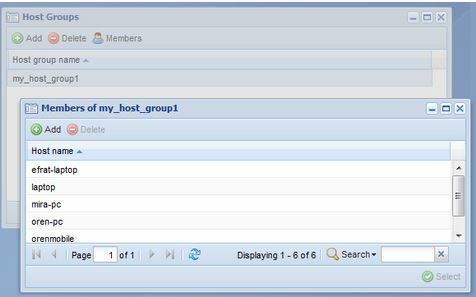 The Members of my_host_group1 window opens (see image). 4. Select the computers that are required for grouping, and click ‘Select’. The new Host group is ready for use.